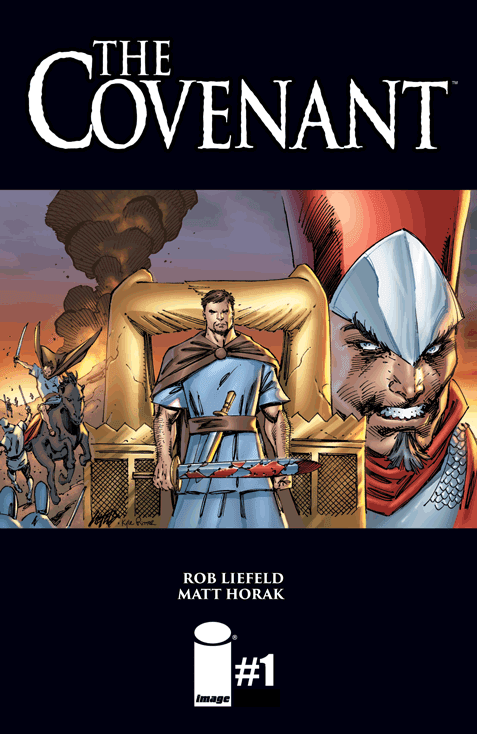 The Fellowship was fortunate enough to obtain a copy of THE COVENANT #1 from Image Comics. Rob Liefeld writes and Matt Horak draws. The greatest artifact of the Jewish people, the Ark of the Covenant, has been captured by the Philistine army. The holy power of the Ark is easily enough to smash any foes of those who control it. Now Samuel, a young priest from the Israeli capitol of Shiloh, thinks that it’s time for action against the warlike Philistines. He gathers a group of would-be heroes to reclaim Israel’s greatest treasure. Set in Biblical times, this story deals with far simpler ideas of politics (and religious difference) than we’re used to today. The scope of the story seems more like epic fantasy than anything else, and is quite enjoyable as such. Samuel is outnumbered, outgunned (figuratively, of course) and desperate to save his homeland from the marauding enemy. The art is wonderful, with amazing emphasis on detail (sometimes gruesomely so). This is one of those books that I’m hesitant to try to classify this early on. Ultimately, though, it’s the beginning of a great story, so pick it up for that. 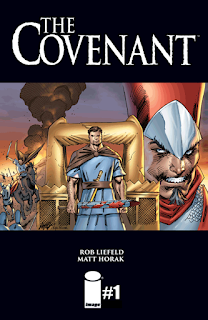 THE COVENANT #1 is available now at your FLCS or at imagecomics.com.